You know what they say: when in doubt, go back to the basics. Now, I’m not actually sure if anyone says that but it should be a thing if it isn’t. One basic that I find myself wanting to style more and more these days is a nice pair of earrings. 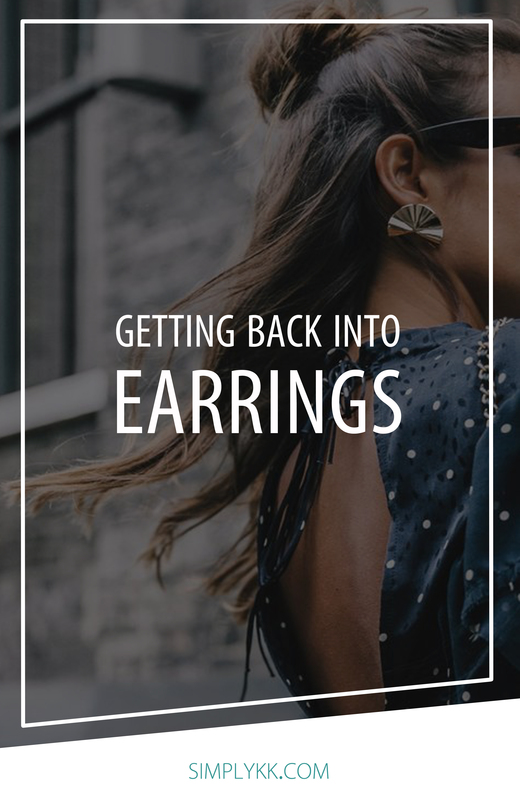 There’s nothing particularly novel about them, but here’s why I find myself getting back into earrings. Maybe I’m getting ahead of myself. First of all: some people may not count earrings as “the basics” but let me explain. I got my ears pierced in middle school and from that point on, it was like my fashion horizons widened because now I could accessorize and be the actual definition of ~fashion~. If it sounds dramatic, it is because it was middle school and everything was dramatic. 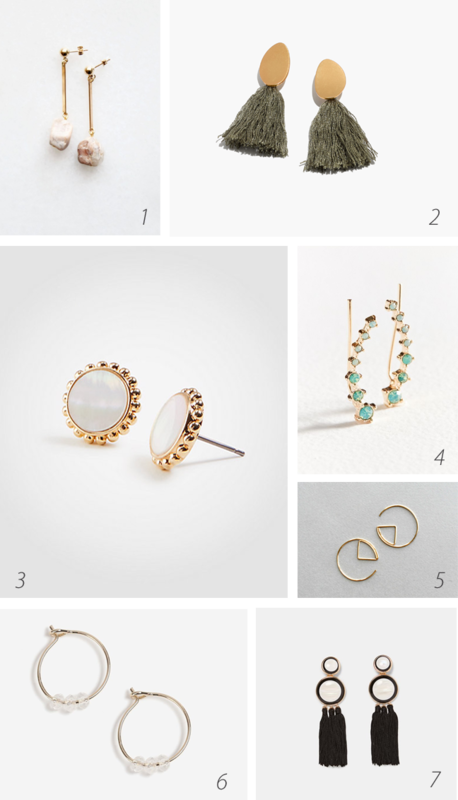 Seriously, though, earrings can be an easy, relatively inexpensive way to totally change a look. And so I call them a basic. That being said, I will note that my earrings style has definitely changed (as one might really, really hope) since those first glorious days of accessorizing. Currently, I’m loving a subtle mix of simple yet interesting, fun but classic at the same time. These pairs are some major inspiration for me – they could totally go for everything from work to the weekend!